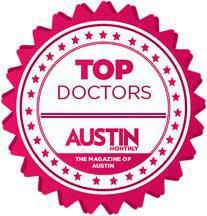 River Place OB GYN, led by Dr. John Thoppil, is located in beautiful West Austin, Texas. This boutique practice has major league experience, leading-edge technology and a commitment to delivering the highest quality of individualized care to women throughout each stage of their lives. 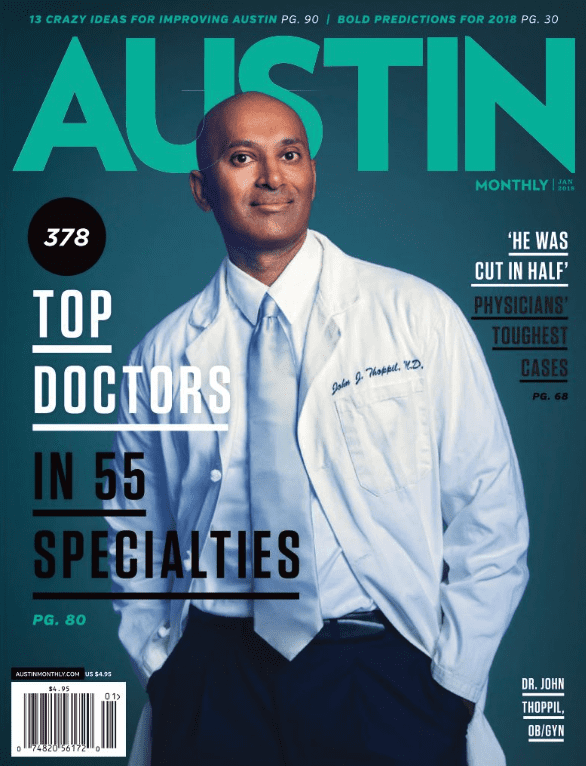 Award-winning OB GYN Dr. John Thoppil, an Austin Monthly Top Doc for the third consecutive year, opened River Place OBGYN in 2013 with the goal of providing outstanding care – from wellness exams, weight management, birth control and full obstetric care, including high-risk pregnancies – along with unmatched personalized customer service. From the spa-like atmosphere to among the shortest wait times in town, the culture at River Place OB GYN is one in which every patient is valued and knows it. This year Texas-native and top-rated OB-GYN Dr. Rachel Shepherd joined the team. Dr. Thoppil and Dr. Shepherd pride themselves on staying up-to-date on the latest evidence-based treatment methods. Dr. Thoppil and Dr. Shepherd are always accessible to patients and deliver most of their own patients. Don’t be surprised to find them personally calling you back with test results. 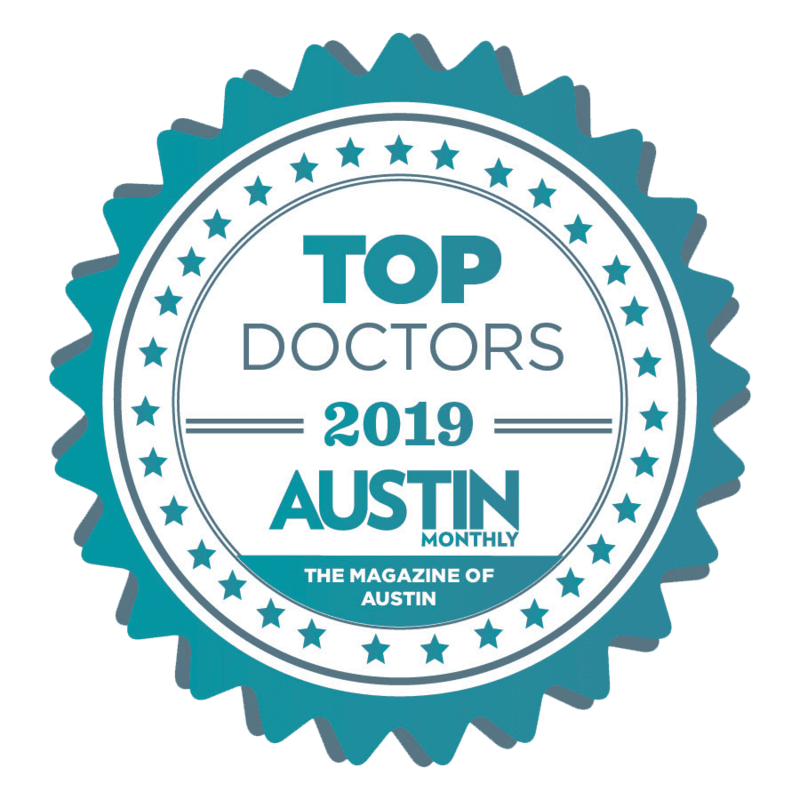 The team strives to build long-term relationships with patients and aim to make River Place OB/GYN your true medical home, which is why River Place providers are often considered as the Best OB GYN in Austin. What are the advantages of procedures in office? Exercise in Pregnancy: How Much? What Kind? Dedicated to the best care at every stage in a woman's life. We are committed to building long-term patient relationships. We believe that it is important for patient's to have a doctor that they can trust. We work diligently to provide the best healthcare experience possible. Dr. Thoppil delivers the majority of our patients’ babies. He is regularly on call so he can be there for you when you need him most. We are passionate about impacting women’s health care. Our entire team is committed to ensuring our practice allows women to feel safe and secure. We want women to ask questions and feel at ease discussing their concerns. We are humbled by, but proud of our consecutive wins for Vitals, "Most Compassionate Doctor" Award. We strive for the highest standards of excellence and have the expertise to meet that goal. Our team has the ideal blend of education and experience. We are actively involved in influencing women's health, both locally and nationally. We continue to practice evidence-based medicine, while at the same time treating each patient's care as unique. Here are just some of the insurances we accept. If you have a narrow network plan (POS, exchange, specific hospital, EPO, HMO) please confirm our network status. They do not always follow the full network benefits. To find out if your insurance is accepted, please check the insurance website or give our office a call. "Dr. Thoppil has one of the best bedside manners of any doctor I've seen. He takes time with his patients and at no time have I ever felt rushed." "Dr Thoppil is an amazing Doctor! I was very lucky to have my first child on his watch. With him and his great team you immediately feel comfortable and in good hands."